In 1992, Akira Seto could measure what he determined as “extraordinary large biomagnetic field strength” from the hands of 3 volunteers. These magnetic waves were at the known as Very-Low Frequencies spectrum, which is a range of waves that go from 0.01 Hertz to 30 Hertz. Specifically, he detected an emission from 4 to 6 Hz in the first subject, a center frequency of 7 Hz in the second, and a range of 8 to 10 Hz in the third. 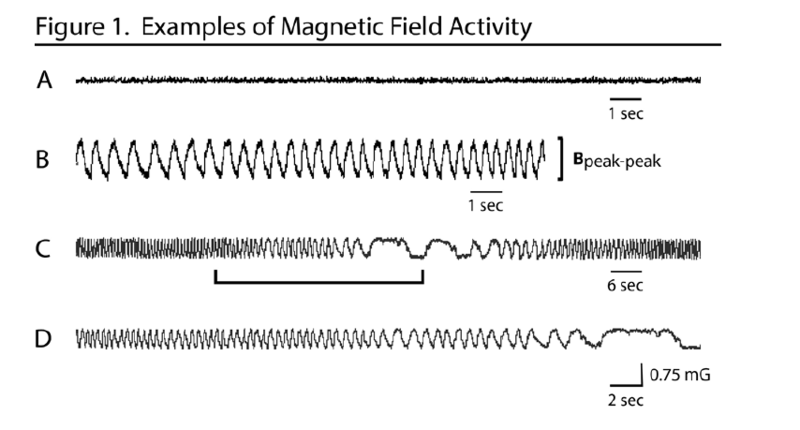 Zimmerman was another scientist that could measure biomagnetic activity from a human body, but this time the frequencies behave like a scanner, sweeping from 0.3 to 30 Hz, afterward setting an equilibrium at the range of 7 to 8 Hz. This frequency connects us with electromagnetic standing waves that travel in and out the Earth, up until the ionosphere and back, a.k.a the Schumann Resonances, whose fundamental frequency is around 7.8 Hz. Even though, Seto and many others believe that the Qi energy is not the magnetic biofield, but “deep force” that we cannot measure. 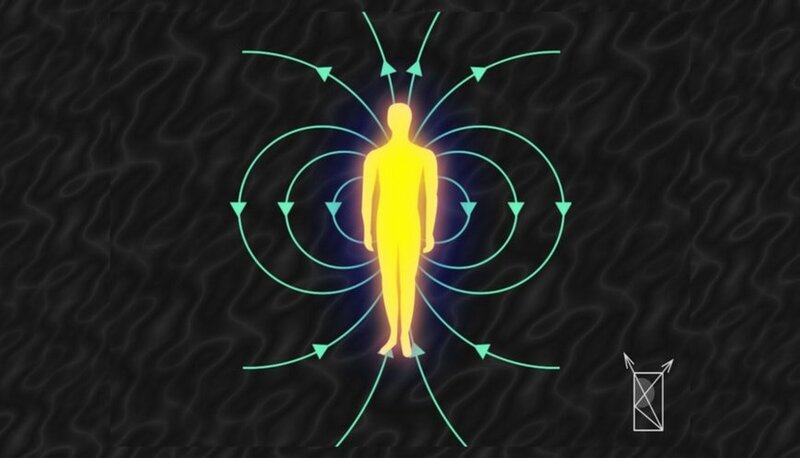 So, despite the important developments regarding the measurement of biomagnetism during energy healing sessions, many scientists agree that this types of phenomena cannot be explained just with classical electromagnetic fields. But the first step is to generate enough knowledge regarding the electromagnetic human field properties during energy healing. Fortunately, the data obtained is expanding a lot since Seto’s publication. Dr. Margaret Moga‘s work is setting the bar so high that it can be considered as an evolution of energy healing research. In 2014 she published “Magnetic field activity during psychic healing”, and the results and conclusions are very interesting. Not only that, but she also accomplished the so wanted Replication, which in science is one of the requisites to consider anything as valid. This was achieved because she detected magnetic field (MF) oscillations that were near-identical in appearance to the MF waveform reported by Zimmerman. These were detected when the Hall-type gaussmeters (devices that can measure subtle magnetic fields) were in close proximity to the healers’ body. Overall, the results from Dr. Moga’s work show an increase in low-frequency MF oscillations, with values greater than 1mGauss. She did measurements on two types of sessions: Healing Touch therapy and Guided Progressive Relaxation. It is a great touch when she determined to do the experiments on days when the Earth’s magnetic field was relatively quiet. Dr. Moga linked three basic aspects of an energy healing session: the client’s feelings and emotions, the practitioner’s perspective, and the MF emissions. 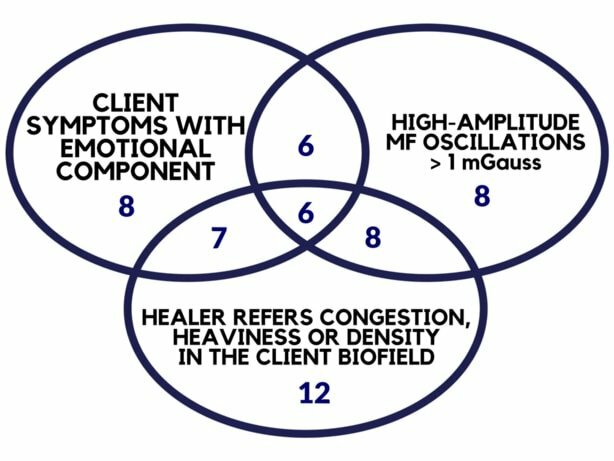 The low-amplitude MF oscillations, which were recorded from Healing Touch practitioners, were correlated with both the client’s and the energy healer’s experiences. This was accomplished in 4 sessions, where the magnetic waves were associated with pain reduction from the client and also the healer’s description of “energetic release”. A curious finding by Dr. Moga is that -regarding the Guided Progressive Relaxation sessions- the only person from which she could measure high-amplitude MF oscillations was someone diagnosed with borderline personality disorder. Another interesting result, was the MF activity that appeared when the same Dr. Moga was realizing a mock HT session. The evidence from this last couple of examples makes me believe that we must first understand consciousness, or we won’t be able to fully grasp the energy healing phenomenon. Dr. Moga also found that sometimes the MF oscillations would even stay for a while, lasting from 30 minutes to several hours, depending on the amplitude of the oscillations. Finally, the oscillations would end up dissipating. This phenomenon is known as “The Linger Effect”, and it occurs when the environment remains changed for a period of time following an intervention. This effect has been measured in mice, and also in physical places, and it frequently appears at the physical spot where a healer has been working. Dr. Margaret Moga concludes with a very attractive idea: the experiments suggest that human emotions may extend outward the body and be detectable as low-frequency MF oscillations. The existence of the Electromagnetic Human Field, or Biofield, is quite obvious actually. Thanks to studies like this one from Dr. Moga, we know that their main arteries may well be located at the low-frequency spectrum.